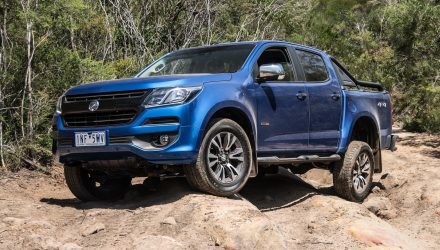 It feels like the Prado is now so tightly knit into the fabric of Australia that it has become the new Ford Falcon and Holden Commodore. It’s the family car you don’t really need to consider before you buy, you just dive straight in. 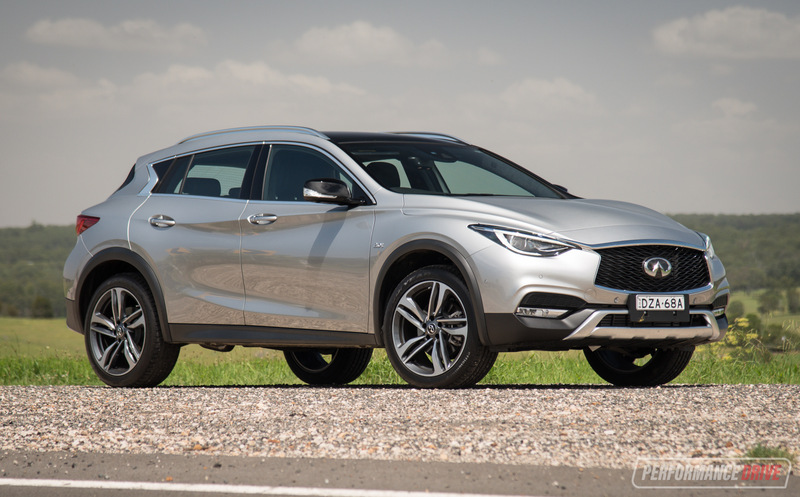 But, despite the launch of the facelifted 2018 model, there are now some tough competitors nabbing at its heels. Should you reconsider? For the 2018 model Toyota Australia is introducing a raft of many yet minor tweaks and refinements. 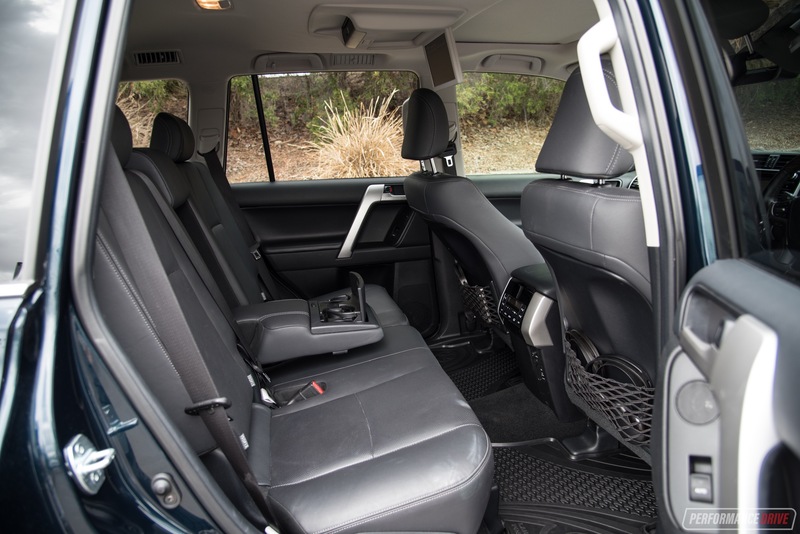 A GX automatic in five- and seven-seat configuration is added, while most receive decent boosts in safety technology, and most receive price cuts despite coming equipped with more standard features. 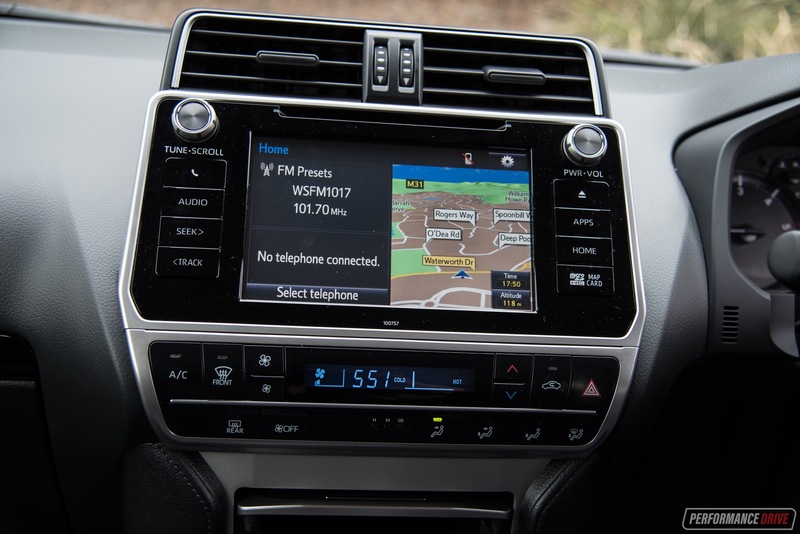 For example, the base GX comes with sat-nav as standard now. For this review we thought it’d be best to test both ends of the lineup. So, in the silver corner it’s the entry GX five-seater fitted with a six-speed manual, and in the dark blue corner is the flagship, filled-with-everything Kakadu variant (named after one of Australia’s most iconic national parks, that also happens to be one of the most weed-free national parks in the world). 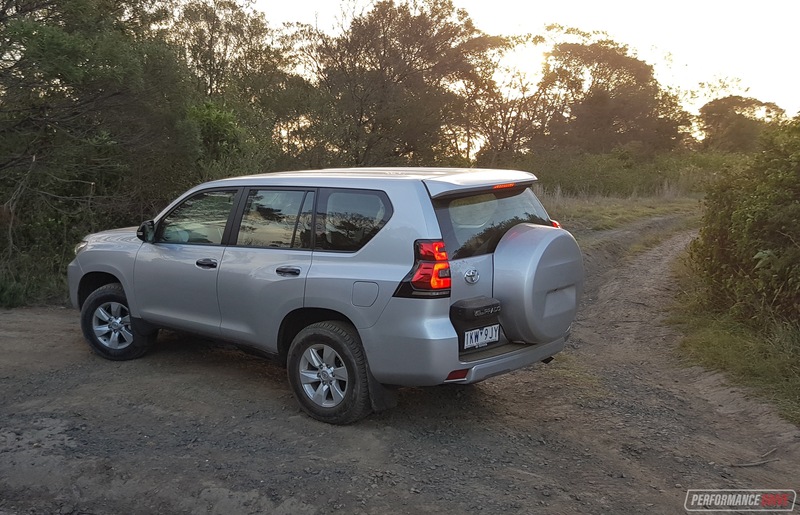 Prices for the GX manual start from $53,490 (down $600 from predecessor) and go up to $84,490 for the auto-only Kakadu (down $1121) – both excluding on-road costs. Starting with the GX. It’s actually not as bare as you might think. Sure, the velour seat trim reminds you of the 1990s and the dash, console and door cards are mostly mono-tone grey, but you’ll notice a fairly comprehensive touch-screen media system up front. 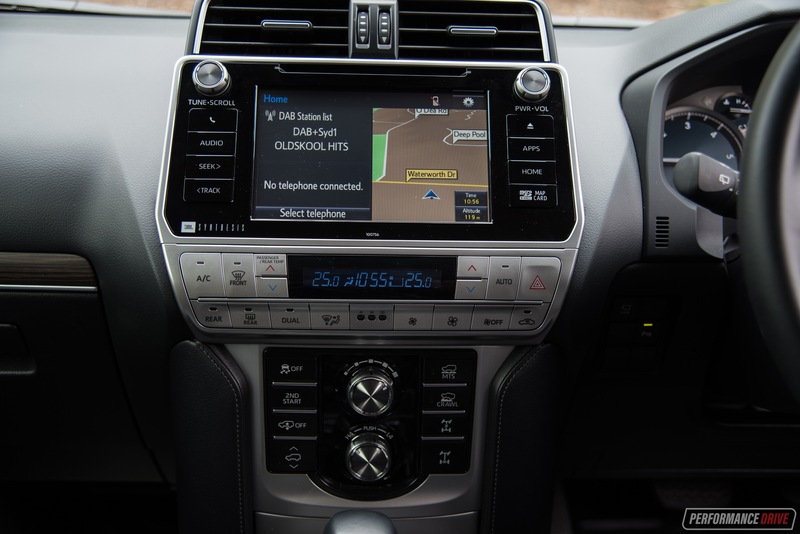 It comes packed with sat-nav as mentioned, digital radio reception, and a rear-view camera. 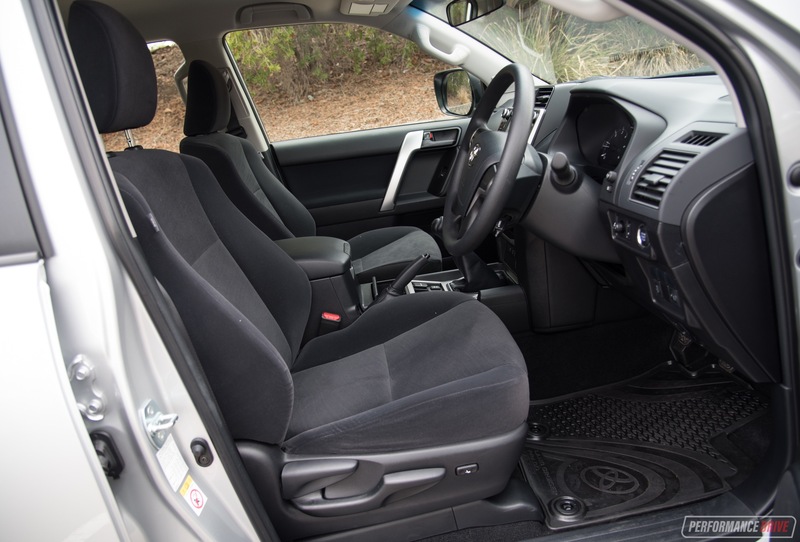 We know you’ll probably think we’re mad but we really like the rawness of the GX’s cabin. 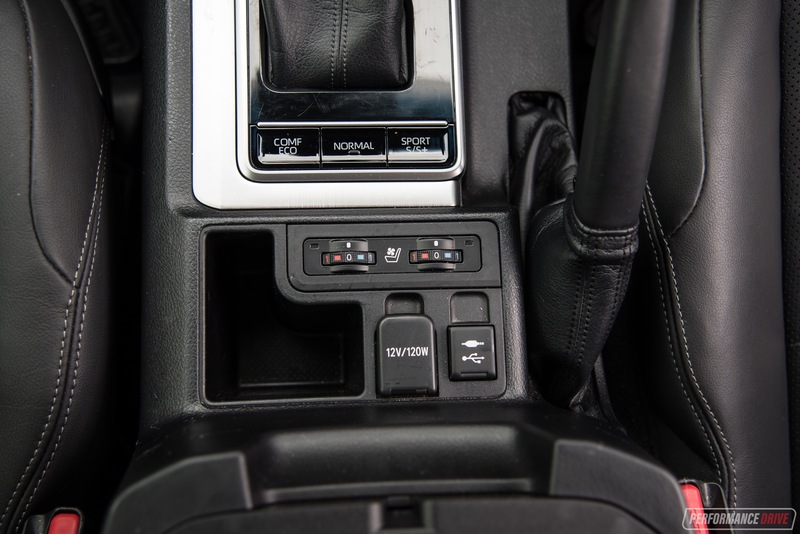 Everything is friendly inside with no intimidating controls or hidden functions, and that massive manual gear shifter; who doesn’t want to play with that? 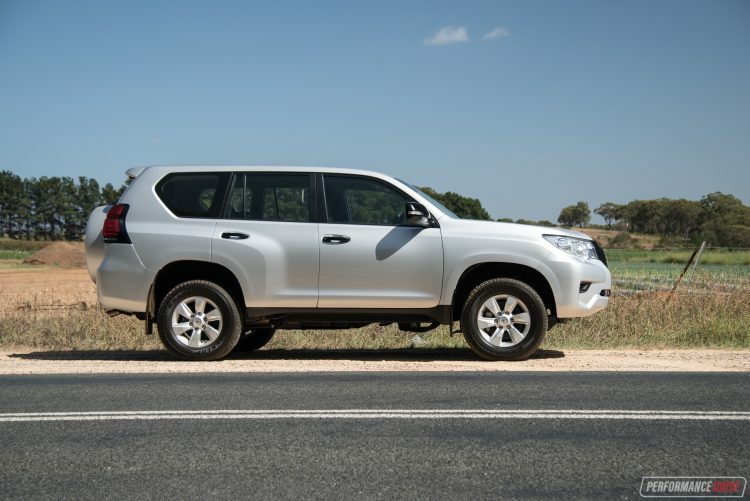 Passengers will not feel confined in any way, especially in the GX with its stripped-out feel. 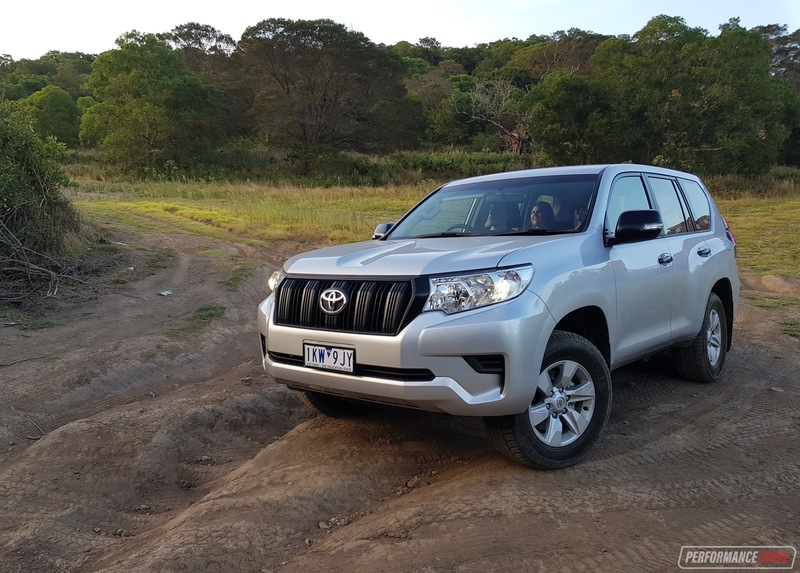 You do have to climb up into the cabin as this is a proper off-roader with 219mm of ground clearance, but once you’re in there’s heaps of headroom and legroom in the front and back. 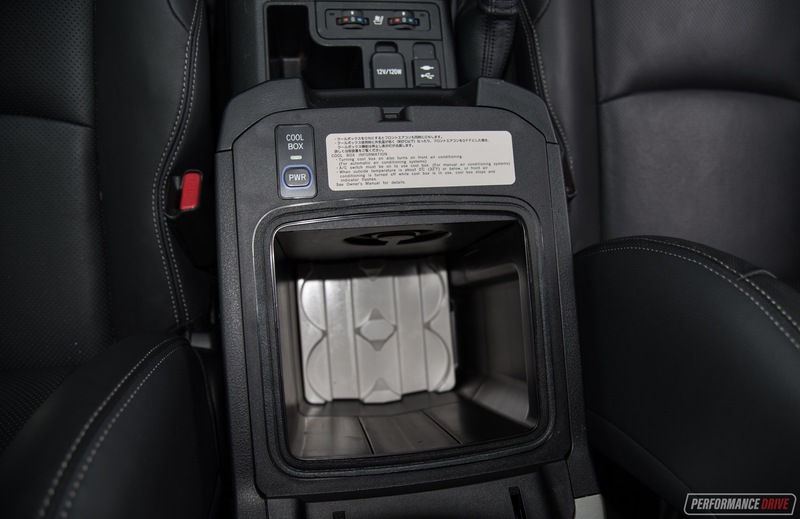 Mostly though, you’ll appreciate the space to move about and general airiness – check out the width of the centre console box. 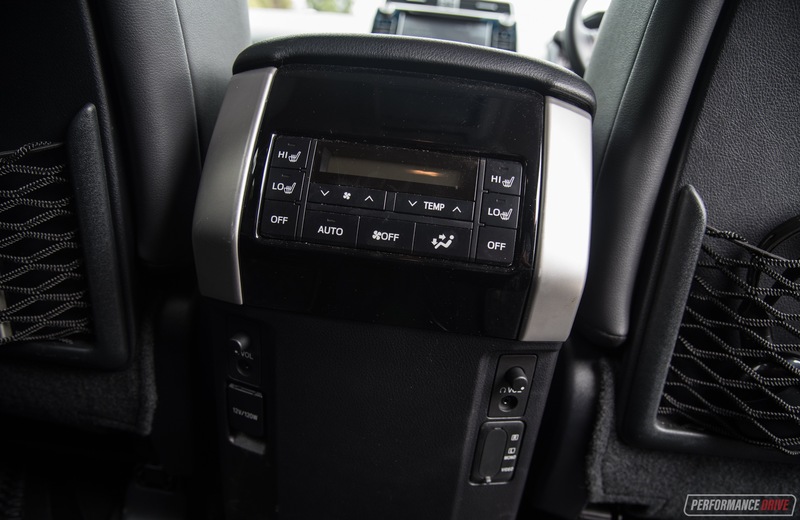 In the Kakadu the console hides a switchable cooler that can be used to keep drinks or even dairy products cool (not freezing) for your journey. The floor is flat in the back because the body and cabin are mounted on top of a ladder-style chassis and not integrated in like most SUVs. 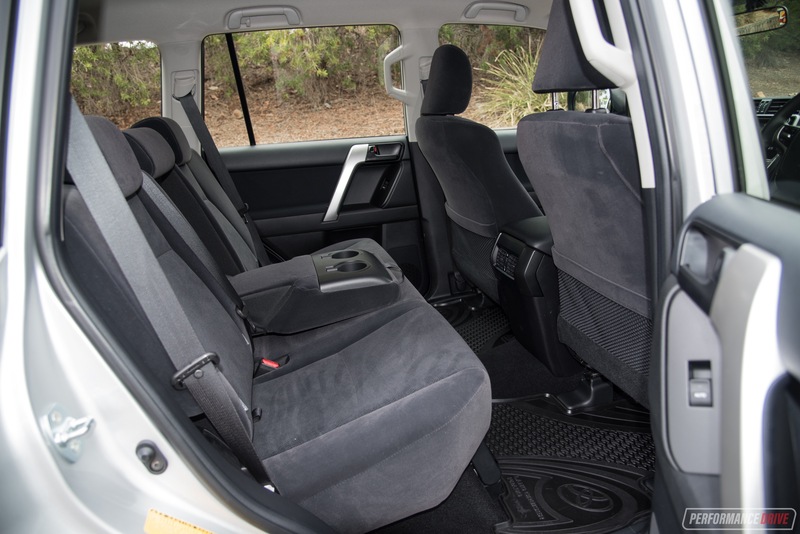 This means the cabin easily clears the running gear underneath, leaving excellent middle-seat legroom. 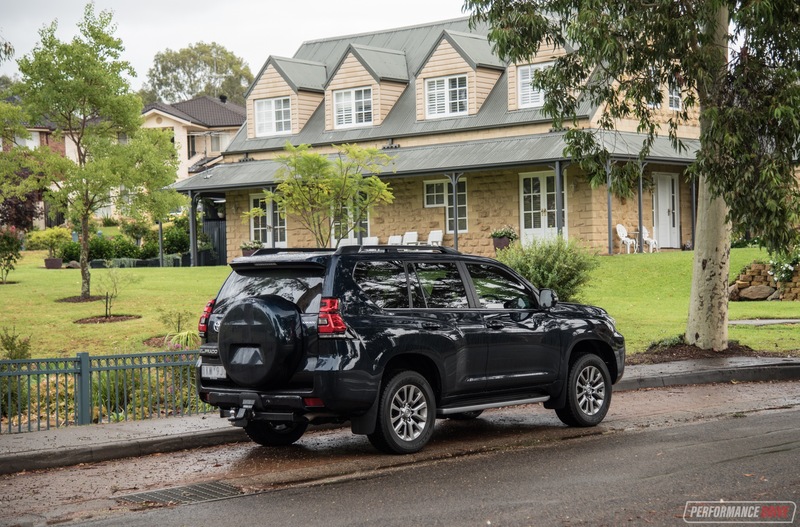 Going for the Kakadu adds rear climate control and a flip-down DVD player with separate headphones, but even the GX comes with rear climate vents (with on-off control) and a 12V/120W power socket. 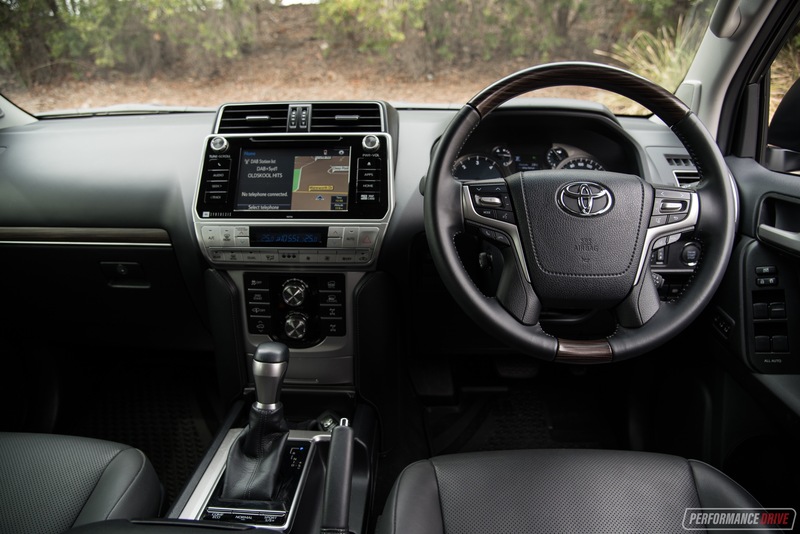 The GX also comes with the same power socket in the front and a USB port, with the Kakadu adding dual-zone front climate control with seat heating and cooling, and separate temp and fan control for the rear with seat heating. 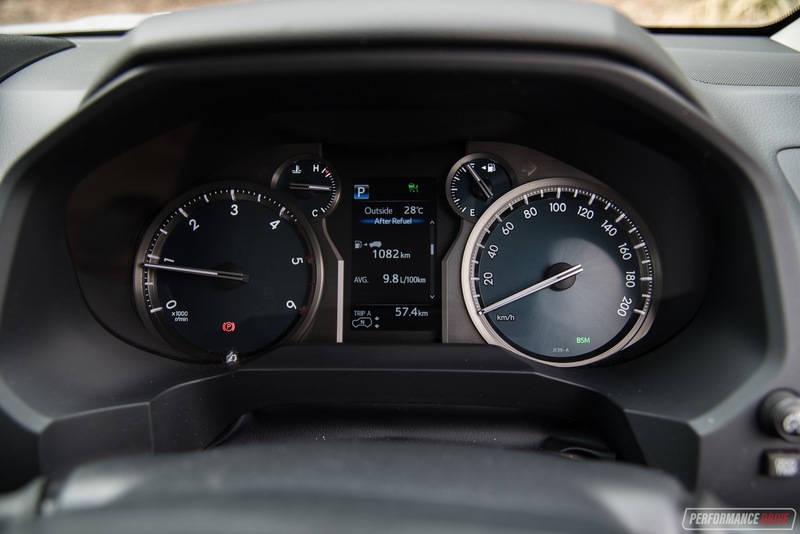 New for 2018 is a fresh centre dash fascia. 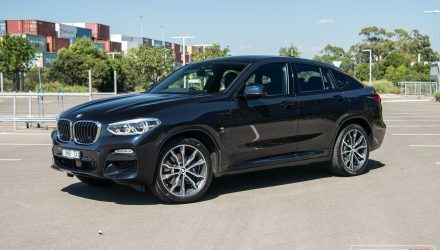 It still lacks the flashy design of some of the modern SUVs and crossovers that are popping up, but it is much improved over the previous model. The screen is now better integrated into the dash design, with fewer square and chunky shapes protruding outward. There’s still an assortment of blocky buttons but that just makes them easier to read and operate. 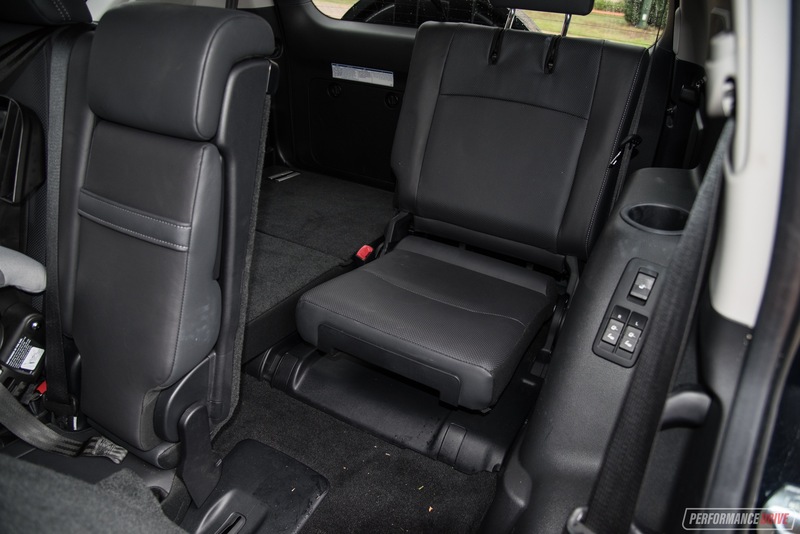 All models are available with seven seats. Actually, all models come with seven seats only the GX is available as a five-seater as well. 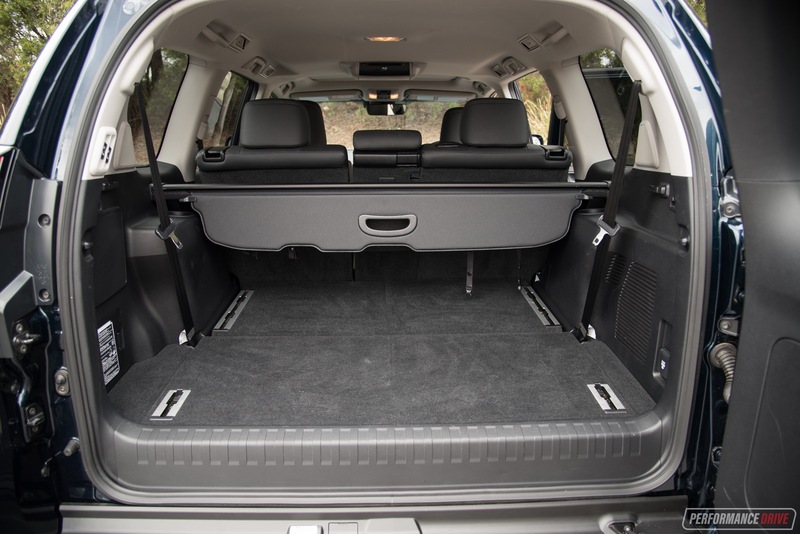 In five-seat form the Prado presents an expansive cargo area. It’s wide and deep, and quite tall, making it perfect for carting around furniture or outdoor sports equipment, or a family’s worth of luggage for a long road trip. 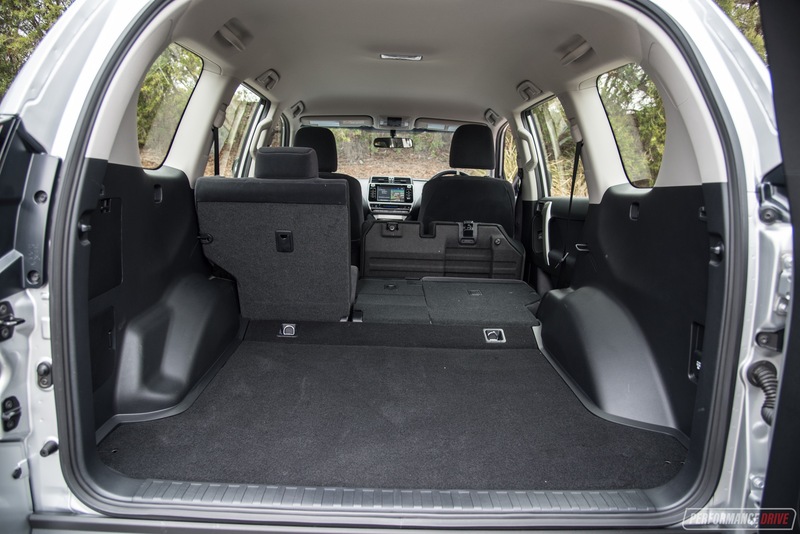 Cargo space is a bit tighter in the seven-seater, even with the third row stored away. 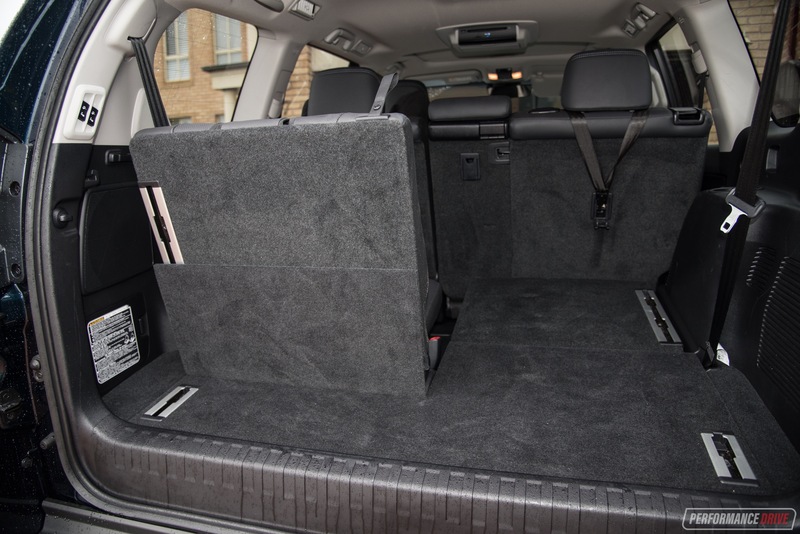 In the Kakadu the third row can be raised and lowered at the touch of a button, for added convenience. But with them down there is reasonable space leftover but not really enough for a long trip. The third row offers decent room even for small-to-average size adults. 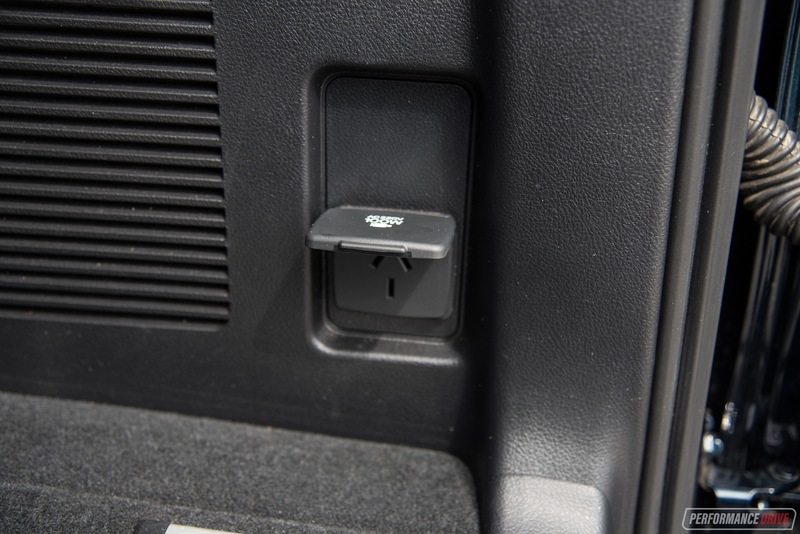 All models come with a three-prong 220W Australian-standard power socket in the boot. 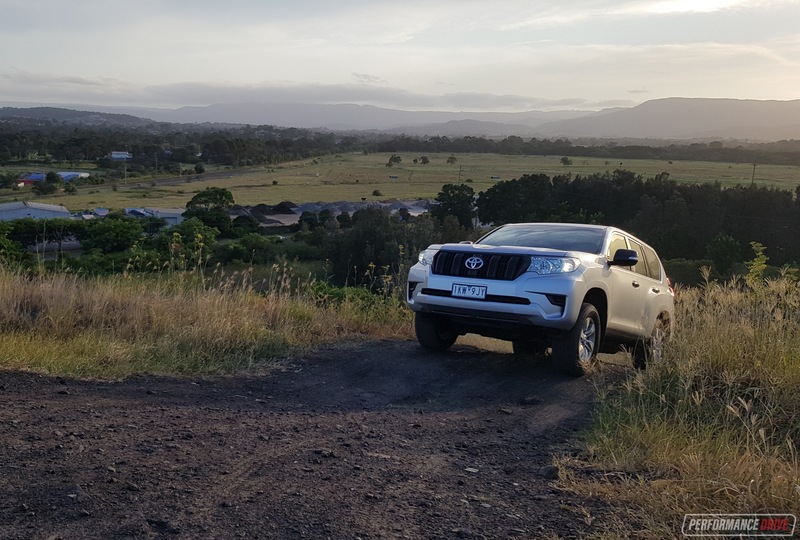 Starting up the Prado, with either the key in the GX or button in the Kakadu, it isn’t quite like starting a truck as you may have expected. 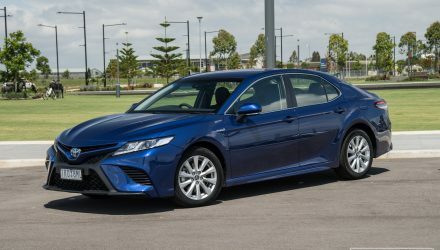 Toyota engineers spent big money and time developing the new 2.8-litre turbo-diesel (including for Australian conditions) to make sure it’s not only robust and reliable, but also refined and efficient. 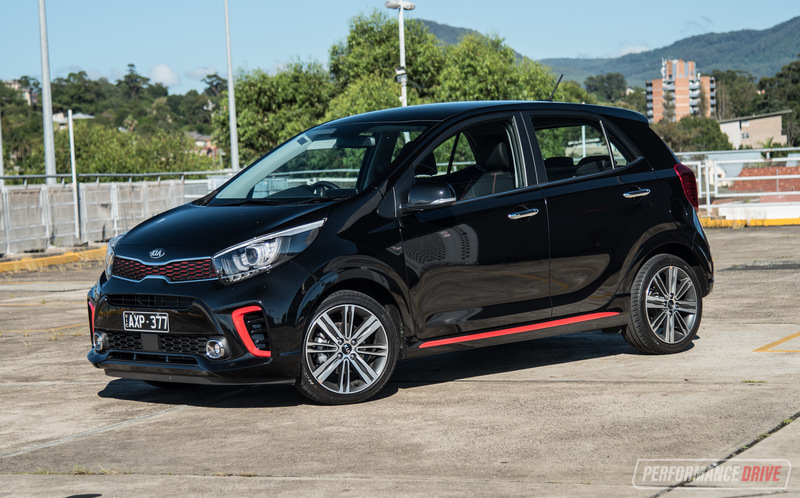 Peak power is rated at 130kW and achieved at 3400rpm, while peak torque is rated at a strong 450Nm (420Nm in the manual), spread from around 1500-2500rpm. 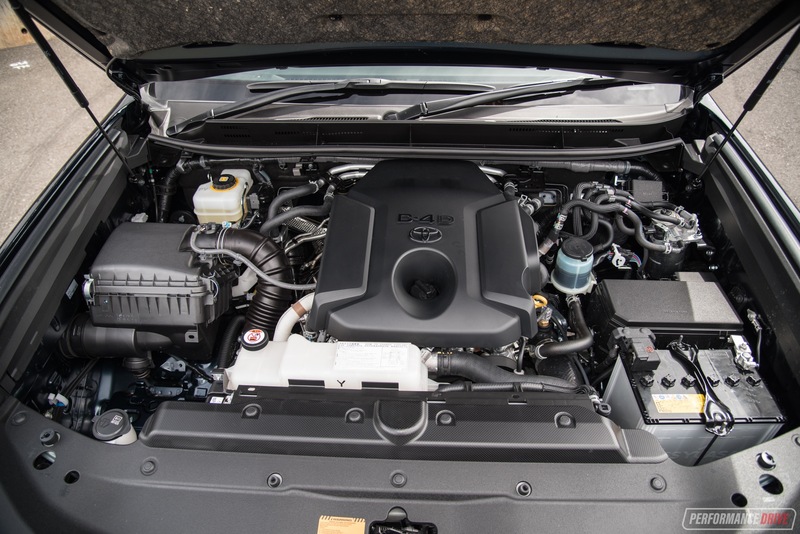 On its own, we think this engine is one of the nicest in the class. Hauling the big, heavy Prado around can be a big task for the engine. If you expect prompt acceleration, the engine will happily rev out but you won’t receive all that much in terms of forward thrust. Instead, it prefers to cruise. And it does this very well, purring along like a luxury Euro diesel. 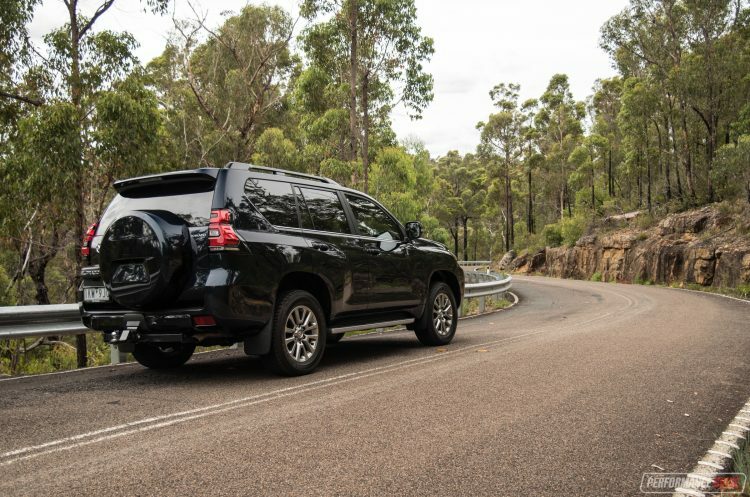 It’s only when it comes to pulling the Prado swiftly, with its kerb weight of 2455kg in Kakadu specification (GX: 2230kg), it can be overwhelmed. On its own, in a lighter vehicle, this engine would be great. 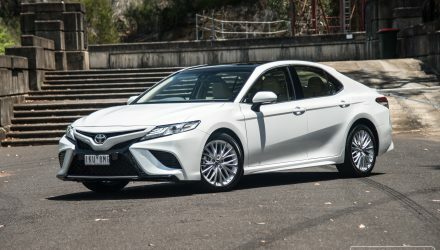 If Toyota offered it in the Camry, for example, we think it’d go pretty quick indeed. 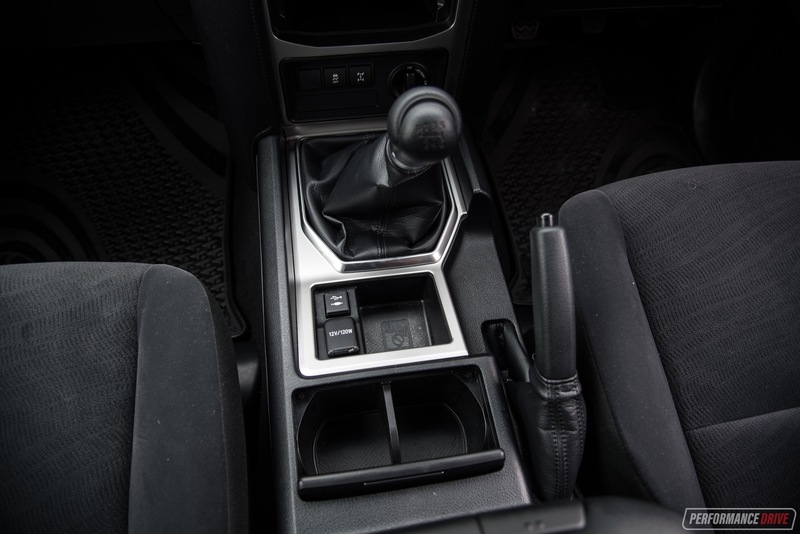 In the GX we found using the manual transmission to be better matched with the engine. 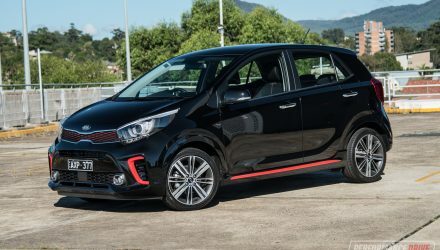 You can pull through third gear from roundabouts and right-angle street junctures, and the mid-range torque will freely surge you up to speed. 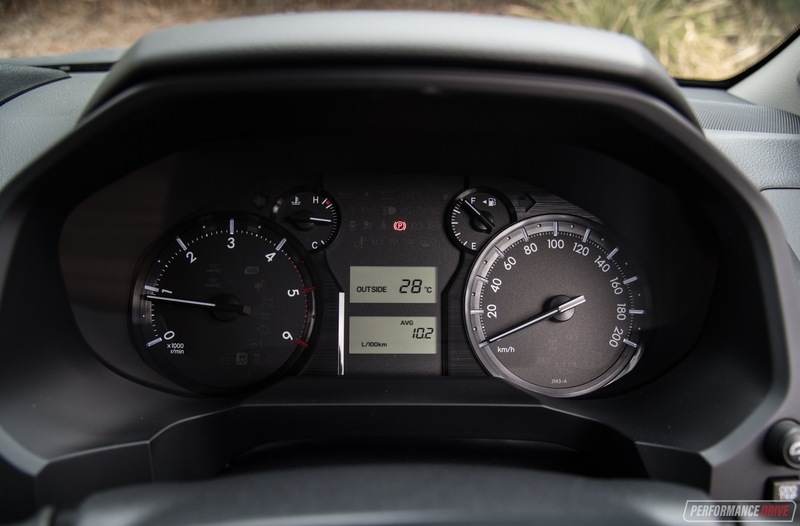 In the automatic Kakadu, it is smooth and the gear changes seem right for the occasion, but the torque convertor tends to make it feel more sluggish. 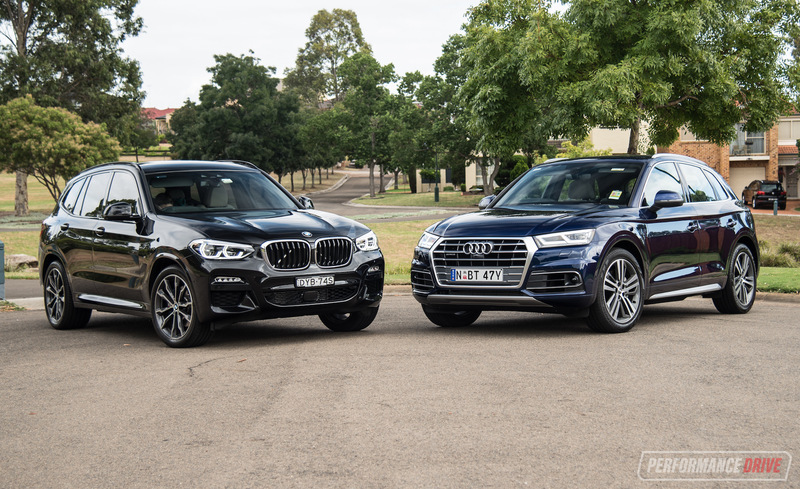 In either case, both operate effortlessly out on the highway, supported by adaptive cruise control in the Kakadu. 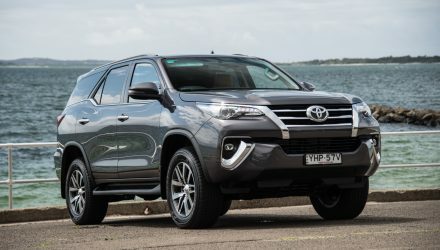 Adding some science to the noticeable difference in acceleration, the GX manual recorded a best 0-100km/h of 11.92 seconds while the heavier Kakadu auto did it in 14.32 seconds. 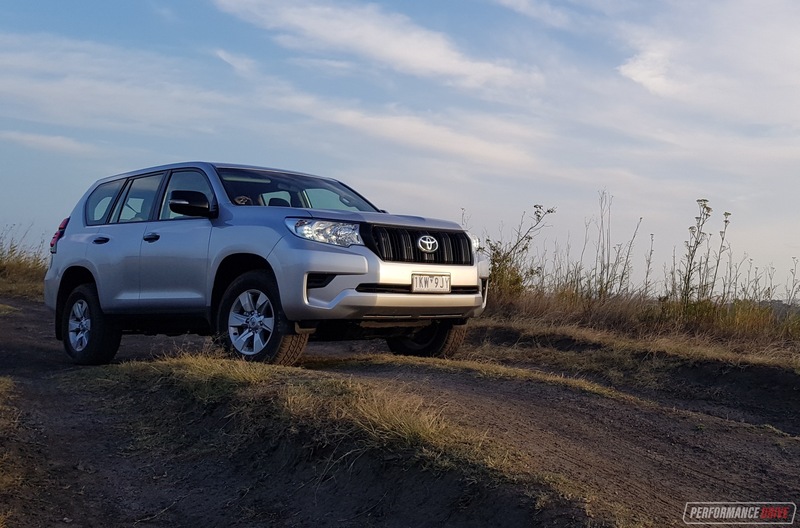 Aside from the performance on the road, the Prado is surprisingly easy to navigate around the suburbs. 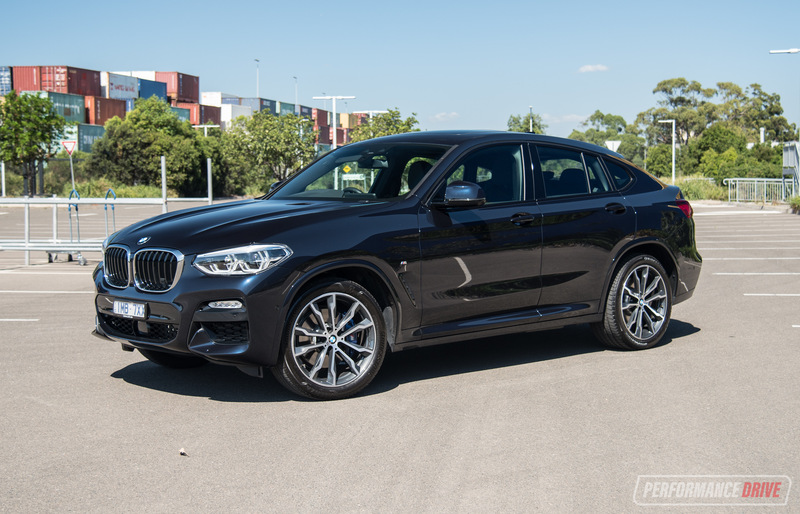 It is a big vehicle so you obviously need to factor that in, but the body proportions are easy to assess from the driver’s seat, with an almost square rear end making it easy to reverse park. 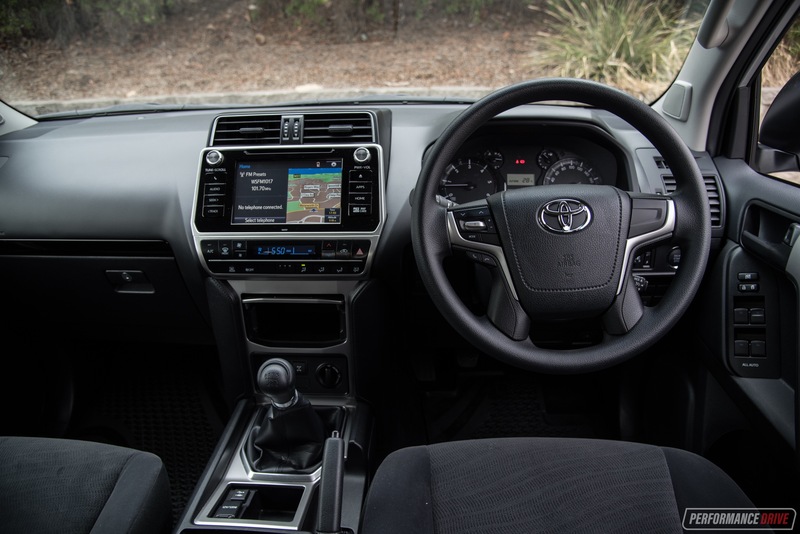 There’s a rear-view camera in all as backup anyway, with 360-degree viewing in the Kakadu. 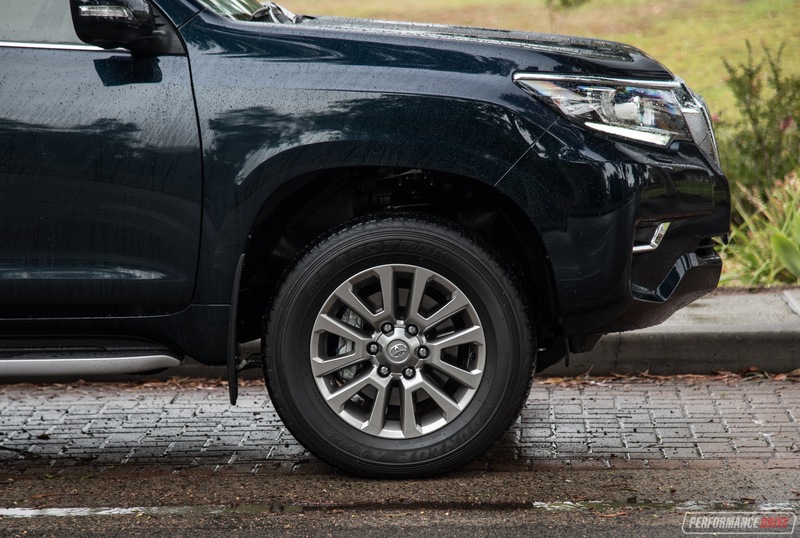 Parking sensors are fitted on the Kakadu as well, but not on the GX, and we suspect this is because they can become very annoying when off-roading. 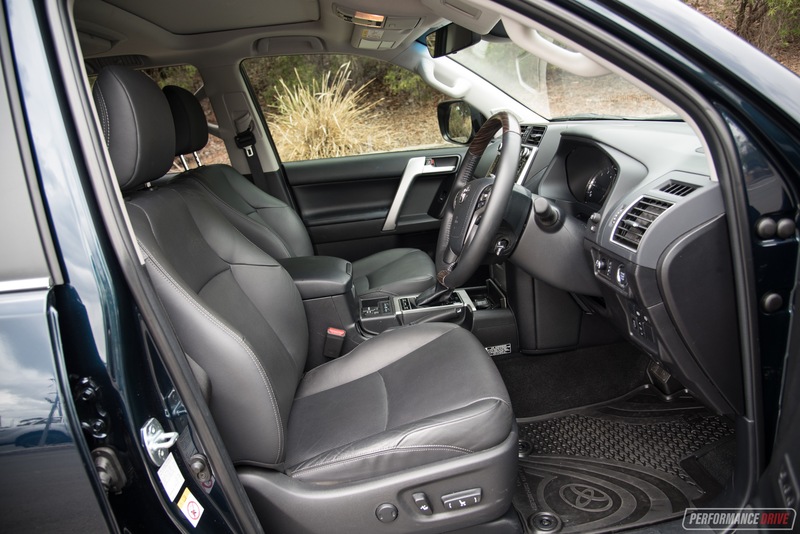 Ride comfort is good, especially for a heavy-duty off-roader that uses a four-link live-axle, coil-sprung rear end (independent double wishbone front). Bumps are absorbed thanks to its excellent suspension compression range, providing reasonable compliance, and some resistance to after-shock. 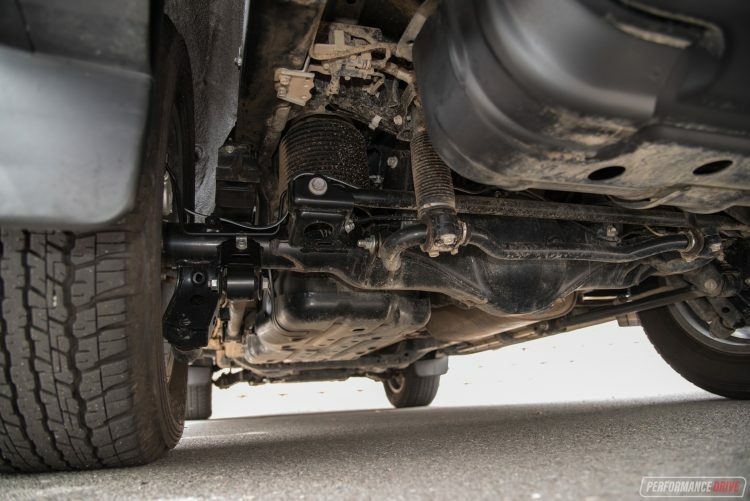 Vibrations and noises seem to be suppressed well, but there can be some bump-steer over aggressive corrugations if you encounter them during a corner. The big balloony tyres with tall sidewalls do provide extra absorption over the smaller stuff, like bridge connections and minor potholes. There is some body lean around corners, but overall the steering feel and handling is pretty good. 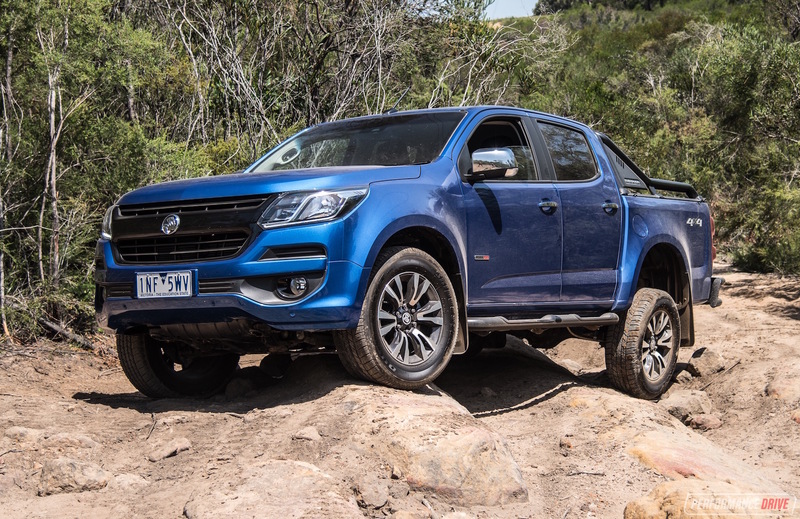 Again, for a heavy-duty off-roader. What’s not so good is longitudinal body control. Under hard braking the nose will dive drastically, and lift under heavy power. The main reason for this is down to off-road performance. 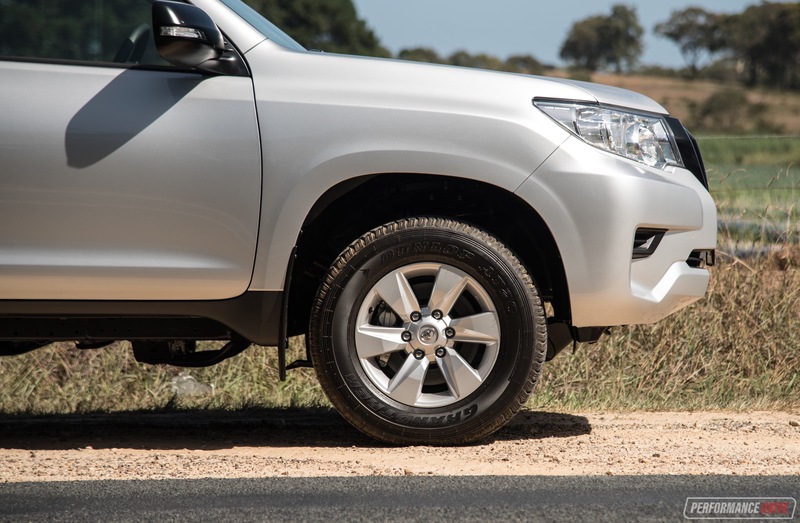 In order to achieve extended wheel travel and suspension movement, there simply needs to be freedom and slack in this area, which Toyota has provided. And if you take the Prado off road, you’ll quickly understand and appreciate the sacrifice in body control. This vehicle will go anywhere. Well, it’ll go anywhere where there’s at least some kind of hint of a vehicle track ahead. 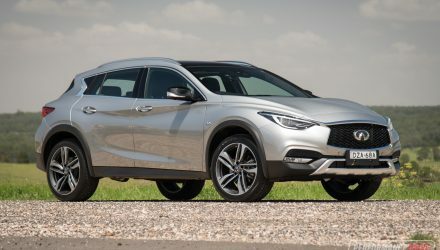 All models use a dual-range four-wheel drive system, and use a limited-slip centre differential to divide drive between the front and rear axles. 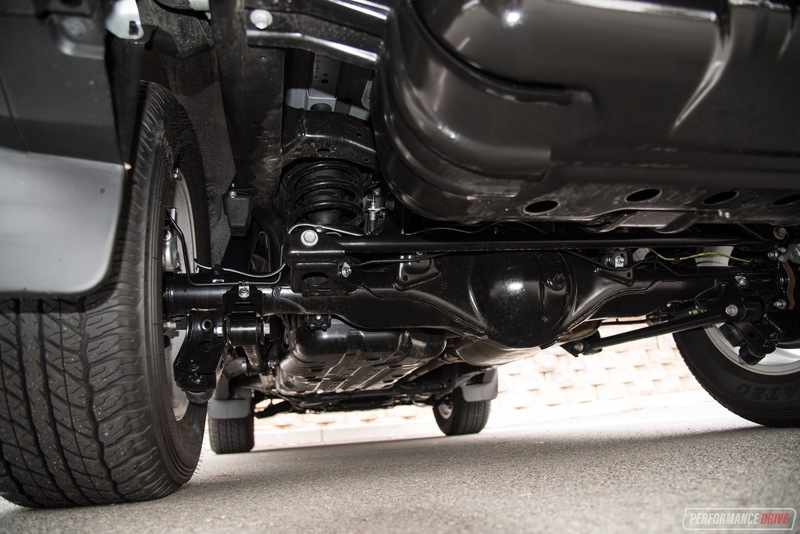 In the case of the Kakadu there’s also a centre and rear diff lock, and height adjustable air suspension for extra clearance. Basically, if you get stuck in the Kakadu, it’s simply not a track worth exploring. To answer our initial question, should you consider some of the market rivals before signing the dotted line on one of these? In short, no. 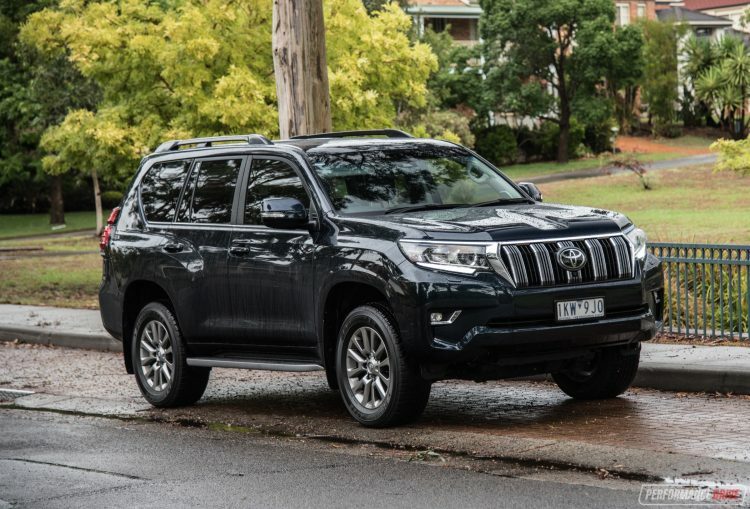 The Prado is still the go-to family car for Australia. For other countries, maybe not. 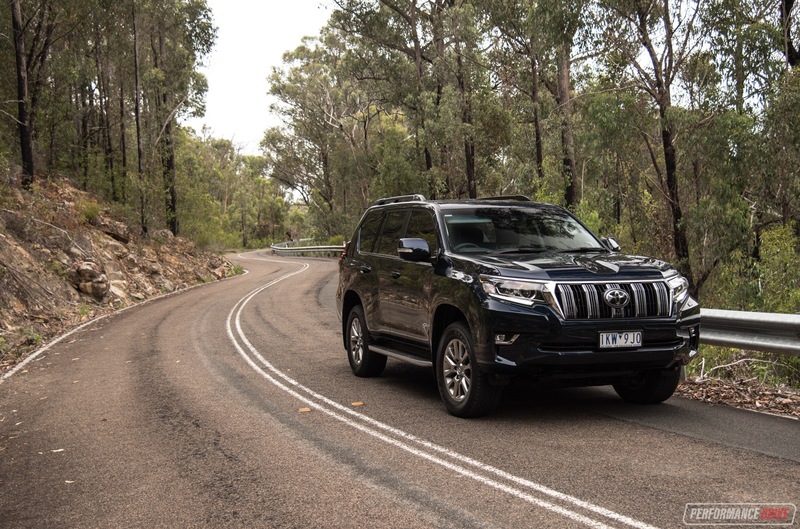 But here, where roads, especially in regional areas, are as crumpled and rough as a tradesman’s receipts, the Prado is perfect. There are some areas that are a sacrifice though that you should be aware of. Firstly, don’t expect brilliant overtaking performance. 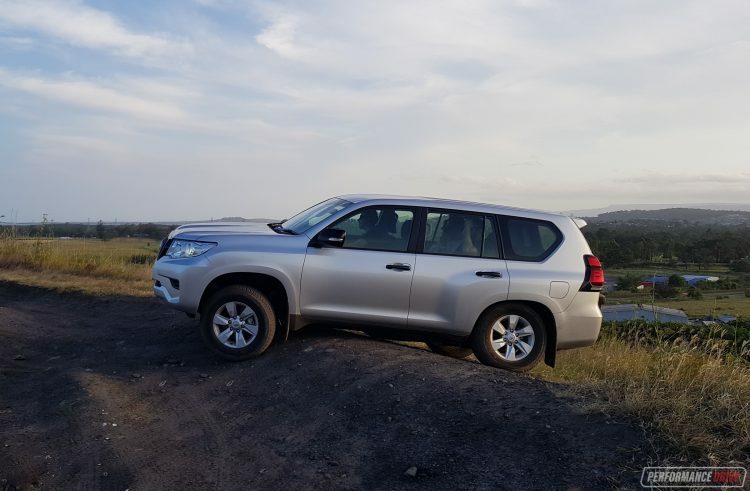 The engine is smooth and quiet, and relatively economical, but it can be put into situations where it is overwhelmed by the two-tonne-plus weight of the Prado. Secondly, this is a proper heavy-duty off-road vehicle, designed to actually take on pretty serious off-road terrain. So, don’t expect outstanding body control around corners or anti-dive/anti-squat management. Off the road this freer-moving body helps with wheel travel and suspension compression, getting you further than most rivals. 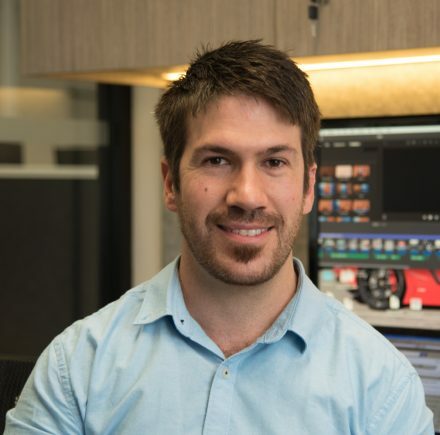 Once you get past these two main considerations, you soon see why millions of people around the world, including those working in army and emergency environments, love and trust these machines so much. 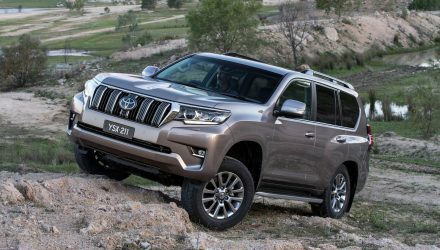 Reliability and dependability, and sheer rugged capability, is at the forefront of the segment in our opinion. All rivals merely follow in its footsteps or go a slightly different way about it for distinction. 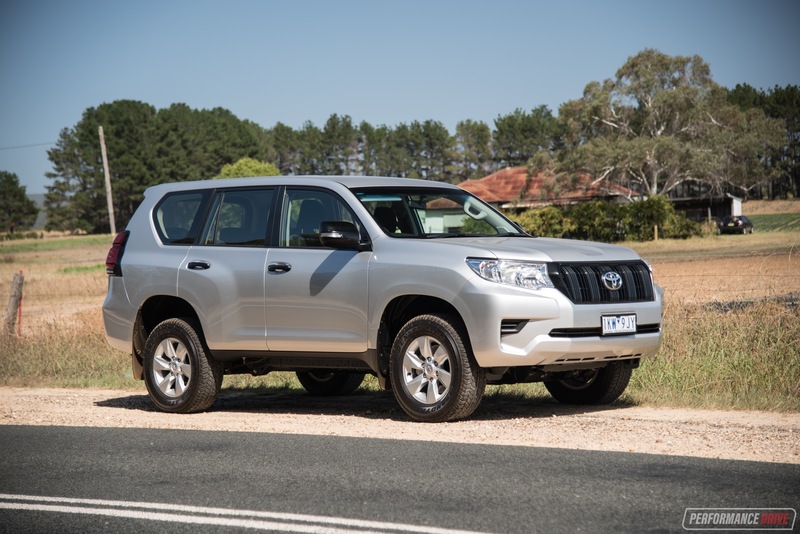 Toyota has done its usual thing and applied a small evolutionary step to a well-established and long-proven legend with the 2018 Prado. It doesn’t really matter which variant you go for, the foundations are the same. If you can afford the luxuries then why not go for the Kakadu. In saying that, we think you’ll also enjoy the bare-bones GX manual as it does rekindle the slowly-diminishing spirit of driving something raw and ungarnished.